Wei Dong from Inner Mongolia studied painting in Beijing and after four years' formal training in classical landscape, he introduced into his work a dichotomy of ancient and modern. 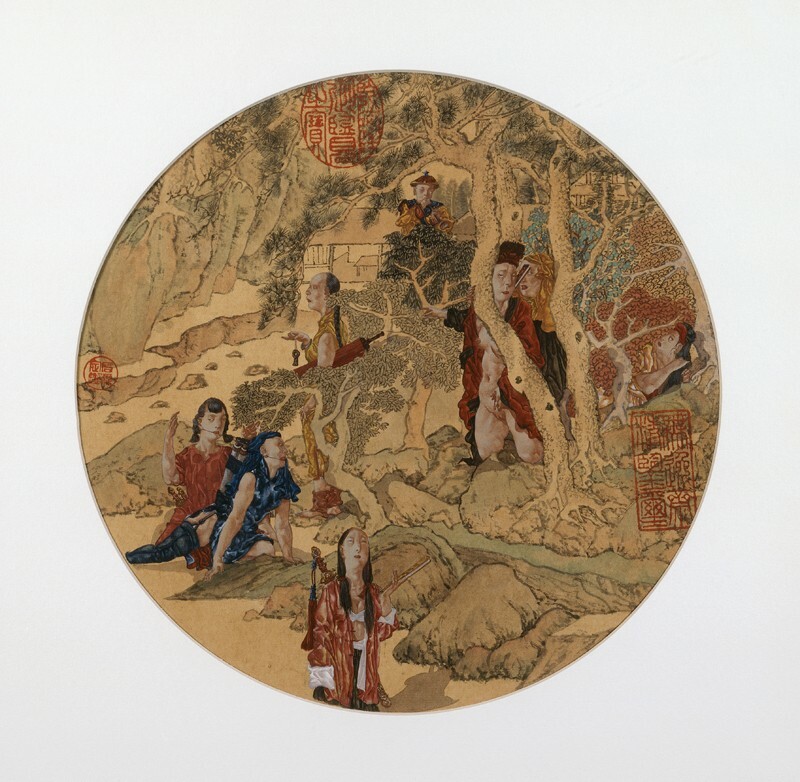 This is evident here in the depiction of twentieth-century figures amidst a landscape painted in Ming (1368-1644) style. Wei Dong, the Beijing-based painter, is known for provocative works that combine modern figures and traditional painting. This landscape of trees, rocks, huts, and winding paths is drawn in the conventional style of the Ming dynasty (1368-1644); the eight half-hidden, half-naked figures are a late twentieth-century innovation. The three seals on the painting were carved by the artist in imitation of the imperial marks of Emperor Qianlong (r.1736-1795), a renowned collector of arts and antiques.